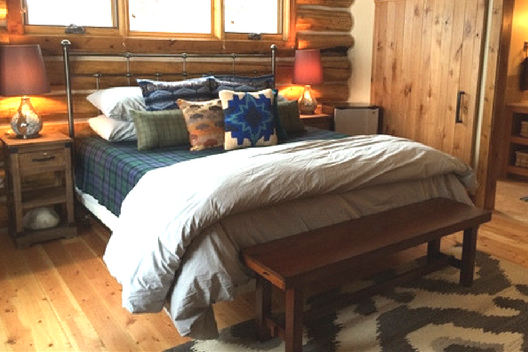 Our luxurious King Chalet Room offers guests a private escape in the rugged Wyoming wilderness. 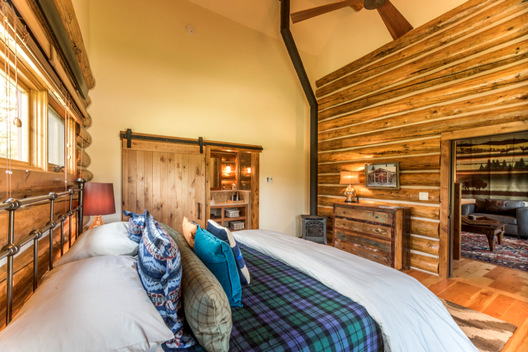 This room features striking Western decor, classic Pendleton bedding, a thermostat-controlled gas-lit fireplace and a lavish, modern bathroom. Relax after a day’s adventures in your plush bed or watch the sunset on the Grand Tetons with a drink in hand from the covered patio. 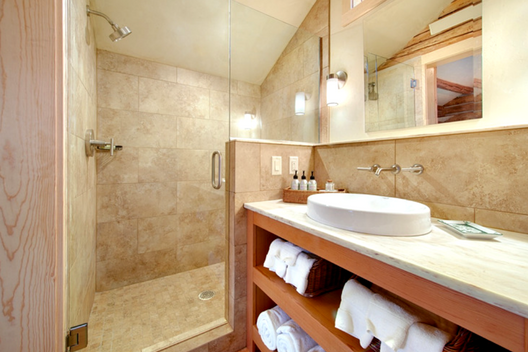 Located in a secluded area on our property, this room is ideal for couples or individual travelers. Our king room can sleep two guests in total and features one king bed plus a modern bathroom. 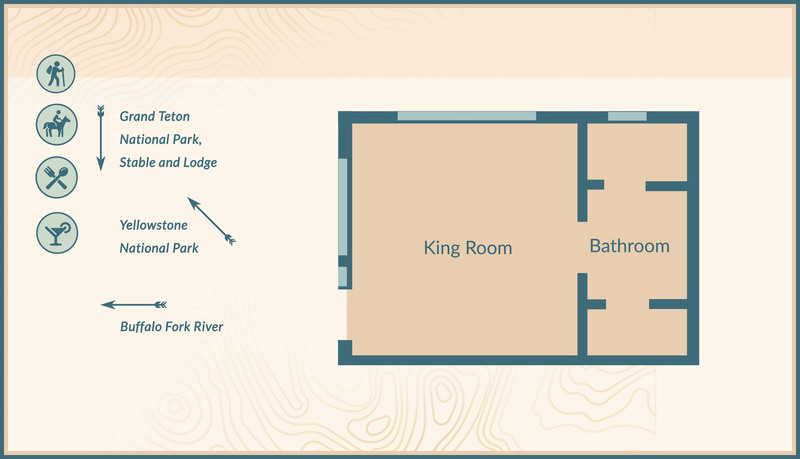 Our lodge with bar and restaurant, stable and the Buffalo Fork River are a 1-2 minute walk from the chalet building. Stunning, valley-framed views of the Grand Teton are just outside your front door, and Yellowstone National Park is about 45 minutes away by car. Bring 8+ together to experience Western hospitality at its finest. Up to 6 can enjoy our spacious Queen + Loft chalet.